The Adelaide 36ers have levelled the Hungry Jack's NBL Grand Final series 1-1 with an emphatic 15 point victory over Melbourne United at Titanium Security Arena. Adelaide responded after the Friday night's loss with a powerful performance as they shot out of the blocks early before running out easy winners, 110-95, in front of 7,963 fans. The Sixers played outstanding team basketball with seven players scoring over 10 points each. Mitch Creek was man of the match ending the game with 17 points and nine rebounds. Only an injury to veteran Josh Childress soured the win after he went down in the final minutes of the game with a shoulder injury. Melbourne United has injury worries of its own with Casper Ware spending limited minutes on court and Josh Boone going down early in the game in a heavy fall. They were also plagued by foul trouble with Ware and Tai Wesley both fouled out. 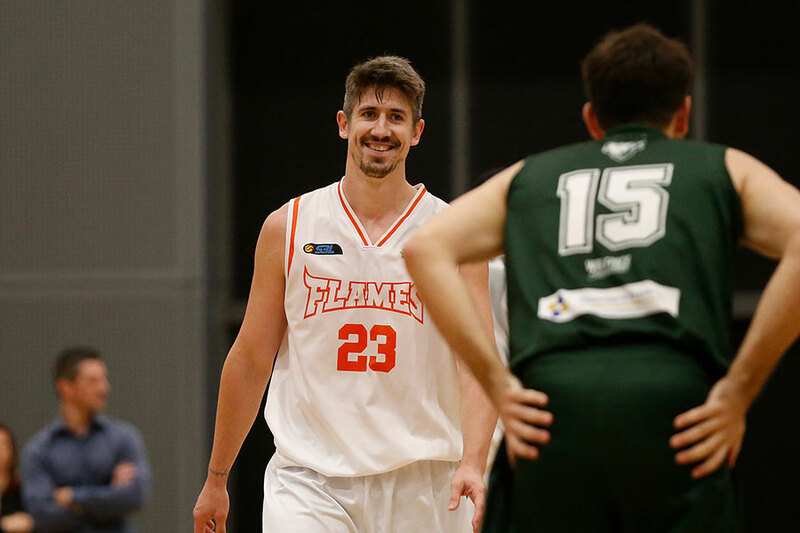 United’s captain Chris Goulding was the highest scorer for United ending the game with 19 points to continue his outstanding Grand Final Series after he dropped 26 points on Friday night. The teams will travel back to Melbourne for game three at Hisense Arena next Friday March 23 at 7:30pm. Game four will be played at Titanium Security Arena on Sunday March 25 at 3pm AEDT. Basketball Australia and the National Basketball League have welcomed today’s announcement that the Australian Boomers will play the USA Basketball Men’s National Team in Melbourne next year. The games will be played at Etihad Stadium on Thursday 22 August and Saturday 24 August 2019 as part of both nations’ preparations for the 2019 FIBA World Cup in China. NBL Owner and Executive Chairman Larry Kestelman said: “This will be the biggest basketball event ever held in Australia and a wonderful endorsement of the sport. “The NBL has worked closely together with Basketball Australia to bring this event to Australia on the back of the relationships formed with NBA over the past six years including historic games between the NBL and NBA last October. “I congratulate the Victorian Government, Basketball Australia, USA Basketball and TEG.and we will work with them to deliver what will be an amazing event for Australia and take our game here to the next level. “Basketball is booming in Australia and we have enjoyed strong collaboration with Basketball Australia and everyone associated with the sport from the grassroots to the elite level. The Chair of Basketball Australia Ned Coten said: "Under Larry Kestelman, the NBL has gone from strength to strength and the league is deservedly ranked as one of the premier competitions in the world. "The engagement with the NBA in the NBL v NBA three-match series late last year was a game-changer for the league and showed Australian sports fans just how competitive the NBL is. "It is a credit to Larry and all the NBL clubs for the way they have embraced the Boomers in the new FIBA World Cup qualifying system as well. 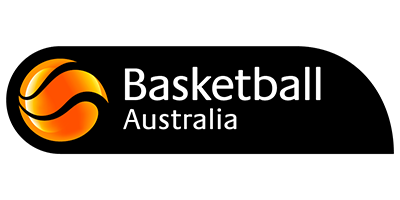 Our Boomers, featuring NBL athletes, are currently unbeaten in FIBA tournament play in Asia at 10-0 and have advanced to the second round of FIBA World Cup qualifiers." Melbourne United has taken a one-nil lead in the Hungry Jack's NBL Grand Final series with a decisive 11-point win over the Adelaide 36ers in game one at Hisense Arena. After an even first quarter which saw its star player Casper Ware forced from the court with an injury, Melbourne had too many weapons for Adelaide and ran out comfortable winners, 107-96, in front 8,699 fans. Melbourne dominated from the three point line thanks to Chris Goulding who finished with a game high 26 points. After a nasty collision with Mitch Hodgson in the first quarter, Ware returned to the court in the second half to help ice the game for Melbourne and finish with 20 points. But it was also Melbourne's depth which proved the difference with Peter Hooley, Dave Andersen, Dave Barlow and Kyle Adnam all playing their roles to perfection when called on. Daniel Johnson was Adelaide's highest scorer with 18 points but did not receive enough support from his teammates who will need to lift if they are to square the series in game two at Titanium Security Arena on Sunday. Game two will tip off at 3pm AEDT and be broadcast live on FOX SPORTS 503 and SBS. Game three of the best of five series will be played at Hisense Arena next Friday March 23. Australia’s future basketball stars will converge on Melbourne on May 21-22 for the NBL’s Next Gen Camp. The intense two-day camp will unearth the best young players from around the country under the watchful eye of NBL talent scouts at the Melbourne Sports and Aquatic Centre. It will be the second instalment of the Next Gen Camp which brings together the NBL, Basketball Australia Centre of Excellence and the Australian Basketballers’ Association. For the first time athletes from the NBA Global Academy based at BA’s Centre of Excellence will also take part in the camp. It will also feature four players from China after winning the Sina Golden League 3x3 national championship in China. NBL Chief Executive Jeremy Loeliger said Next Gen provided a pathway for young players into a professional basketball career. “It is a key pillar of our relationship with Basketball Australia, giving us an annual fixture to connect the best young players with the NBL in an organised setting,” he said. Working in partnership with all of the major bodies will ensure delivery of Next Gen’s objectives. Highly respected Patrick Hunt, President of the FIBA World Association of Basketball Coaches, will again act as Camp Director. Next Gen will begin soon after Free Agency commences, which will ensure players stand the best chance of being recruited by NBL clubs. It is anticipated that 80 participants in total will take part in Next Gen. These will include returning US college players, SEABL players, state league players, national U18 and U20’s representatives as well as invitees from the BA Centre of Excellence, NBA Global Academy and China. “This will help to solidify Australia as the hub for basketball both in terms of development and professionalism within the region,” Loeliger said. The two-day camp will employ the same testing techniques as the NBA’s event including physical testing, skills testing, offensive/defensive breakdowns and game play in order to give players the best opportunity to showcase their talents across all facets of the game. Importantly, it will provide a great chance for NBL representatives and coaches to assess young talent. Rookie Me, the AFL’s national testing partner, will carry out all testing and will assist in the recording and distribution of all results. Next Gen was first run and operated by the NBL after obtaining the rights from W Sports & Media who will again co-manage the event in conjunction with the NBL. Under Armour is celebrating the start of the Hungry Jack’s NBL Grand Final Series by giving NBL fans the chance to win up to $5,000 worth of high-performance gear. As part of `Ball Like A Pro’, fans simply need to post videos or photos of their basketball skills to be eligible to win. Additionally, the lucky winner will get a one-on-one training session with an NBL pro. The NBL’s Official Compression and Preferred Footwear Partner, Under Armour provides a performance experience unlike any other sporting brand. Worn by some the world’s best athletes including Steph Curry, Lindsey Vonn, Dwayne Johnson and Patty Mills, Under Armour is delivering on its brand vision of empowering athletes everywhere. NBL Chief Executive Jeremy Loeliger said: “This is a great competition to get fans into the spirit of what promises to be an incredibly exciting Grand Final Series between Melbourne United and Adelaide 36ers. Fans can enter by publicly posting on their Instagram using #UAxNBL #StartYourStory or by visiting the competition page (www.nbl.com.au/UAxNBL). The competition will run from March 14 to April 4. Fernando Reani, Managing Director of Under Armour Australia and New Zealand, said "The ‘Ball like a Pro’ competition provides a great opportunity to engage with NBL and basketball fans. We’re excited to see the entries and fuel the growth of basketball in Australia. “Under Armour’s mission is to make you better, and we are proud to provide NBL players with cutting edge on-court compression and footwear,” said Fernando. 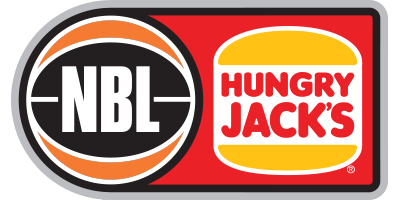 The Hungry Jack’s NBL Grand Final Series will start this Friday March 16 when Melbourne United plays Adelaide 36ers at Hisense Arena at 7.30pm. Tickets can be purchased at Ticketek. The game will be broadcast live on FOX SPORTS 503. The Adelaide 36ers will play Melbourne United in the Hungry Jack's NBL Grand Final after a thrilling one point win over the Perth Wildcats at Perth Arena. Adelaide trailed all night and with 54 seconds to go were still five points behind Perth with their semi final series seemingly headed for a decider on Sunday. But two big plays by Nathan Sobey and Josh Childress in the final moments helped the Sixers grab the lead for the first time and they hung on for a 89-88 win to set up a mouthwatering clash with Melbourne in a best of five Grand Final Series. It was a disappointing end to the season for the reigning champions who made all the running early in the game as MVP Bryce Cotton slammed on 19 points in the opening quarter to open up a 13 point lead for the home side. From there Adelaide fought its way back into the game as Childress (25 points) and Mitch Creek (22) gradually clawed back Perth's lead in front of a hostile crowd of 12,055 Wildcats fans. Game one of the Grand Final Series will be played at Hisense Arena in Melbourne next Friday March 16 at 7.30pm AEDT. Game two will be played at Titanium Security Arena on Sunday March 18 at 3pm AEDT with game three at Hisense Arena on Friday March 23 at 7.30pm AEDT. Games four and five (if required) will be announced at a later date. Tickets for all games can be purchased at Ticketek. A new chapter in Australian basketball will begin this week when the 3x3 Hustle officially tips off. With 3x3 a major player on the international sporting landscape and an Olympic sport for the first time in Tokyo in 2020, the 3x3 Hustle will provide a pathway for aspiring players to go from the suburbs of Australia to competing on the world stage. In 2018, there will be eight Big Hustle events staged around the country including one in each state and territory. Male and female teams from the Big Hustle circuit will qualify to play in the Pro Hustle series. There will be $2,500 on offer for each of the winners of the open age men’s and women’s competitions and for the younger age groups. In 2018, there will be three Pro Hustle tour events held in Australia. These are Pro Hustle 1 on April 21/22, Pro Hustle 2 on May 5/6 and Pro Hustle 3 on May 12/13. NBL Chief Operating Officer Andy Crook said the 3x3 Hustle was an opportunity for Australians of all ages to enjoy the game. “We want to attract not just the best athletes to the sport but males and females of all ages around Australia who can enjoy the newest form of the game,” he said. “The recent growth of the NBL has been all about entertainment and people having a good time. The 3x3 Hustle will give us an entirely new platform to take the entertainment factor to another level, while also making the game more accessible than it has ever been. The Big Hustle will be held in Adelaide this Friday March 9 between 5pm and 9pm andSaturday March 10 from 10am to 7pm at Park 15, Wakefield Rd, Wakefield. It will also be held in Perth this Saturday March 10 between 10am and 8pm at McCallum Park Basketball Courts, Garland St, Victoria Park. Melbourne United will host the opening game of the Hungry Jack’s NBL Grand Final Series at Hisense Arena on Friday March 16 at 7.30pm. It follows Melbourne’s win over the New Zealand Breakers last night to secure its place in the Grand Final and home court advantage. It will play either the Adelaide 36ers or the Perth Wildcats who will contest the second of their best of three semi-final series at Perth Arena this Friday night. Adelaide currently leads 1-0. The second game of the best of five game Grand Final Series will be played at either Titanium Security Arena or Perth Arena on Sunday March 18 at 3pm AEDT. Game three will be played at Hisense Arena on Friday March 23 at 7.30pm. An announcement on games four and five (if required) will be made following the Adelaide-Perth semi-final series. Tickets for the first two games at Hisense Arena will go on sale at 11am this Thursday. Pre-sale for Melbourne United members begins at 4pm today. Tickets can be purchased through Ticketek. Melbourne United will host the first game of the Hungry Jack's NBL Grand Final Series after a thrilling two-point win over the New Zealand Breakers at Spark Arena. With less than three seconds left on the clock in overtime, Josh Boone hit the buzzer beater for United to steal a 88-86 win and take a clean sweep of their semi-final series. Boone was the hero for Melbourne finishing with 33 points and 15 rebounds as the visitors fought back after New Zealand had out muscled and out played United in the first half. After a disappointing loss to Melbourne in the first Semi Final, New Zealand seemed to have United on the back foot, but were unable to stop the United outfit in overtime. Dj Newbill played inspired basketball to keep his team in the hunt, scoring 21 points and seven rebounds. Veteran Kirk Penney almost pulled off a fairytale finish to his Breakers career scoring 17 points. Penney was given an emotional farewell after his last game with a stirring version of Tall Blacks traditional haka on court. The Perth Wildcats will play the Adelaide 36ers at Perth Arena in the second game of their semi-final series on Friday night as Melbourne waits to see who its opponent will be in the best of five game Grand Final Series. A date for the first game of the Grand Final Series in Melbourne will be announced shortly. The Adelaide 36ers have smashed the Perth Wildcats in the first of their Hungry Jack's NBL Semi-Final series at Titanium Security Arena. In a fiery clash, the 36ers put the defending champions to the sword to record a crushing 35-point win, 109-74. A rampaging second half helped the Sixers take a one-nil lead in the best of three series with Josh Childress player of the match with 22 points and nine rebounds. The 2017-18 Fans' MVP Mitch Creek proved why he’s the crowd favourite scoring a double-double with 20 points and 11 rebounds. Perth are now licking their wounds after a disappointing start to their finals. 2018 NBL MVP Bryce Cotton did his best to keep his side in the game scoring 22 points but the Wildcats were no match for Adelaide as the home side piled on 33 points to just 12 in the last quarter to run out easy winners. Perth now faces a huge task to regroup before the two teams play at Perth Arena on Friday as the Wildcats look to stay in finals contention. Photo - Rhys Vague has his merch in order, get yours this Sunday at our Catsgear Warehouse Sale! Rhys Vague has his merch in order, get yours this Sunday at our Catsgear Warehouse Sale! Warwick Stadium - Cnr of Warwick Rd & Wanneroo Road. We are thrilled to welcome Melo Trimble to Melbourne United for #NBL20! The latest on Melo Trimble and his next move. Photo - It's Hug an Australian Day! It's Hug an Australian Day! Photo - Happy Birthday Dan Grida! The Sydney Kings are pleased to announce the signing of experienced guard Shaun Bruce on a one year deal. Photo - Game five, let’s go! GOOD LUCK Andrew and the Golden State Warriors ? Photo - ‪We will remember them. Photo - Congratulations to our guy Tim Coenraad! Congratulations to our guy Tim Coenraad! Tim has been selected in the Australian 3x3 Team who will compete in Puerto Rico at the FIBA World Cup Qualifiers in May. The World Cup qualifier is the exciting first step in a series of major 3x3 events over the next few years including the 2019 FIBA 3x3 Asia Cup, 2020 Tokyo Olympics and 2022 Commonwealth Games. Video - Who do you give the ball to with the clock winding down? Who do you give the ball to with the clock winding down? Following today's announcement that he would be joining the SE Melbourne Phoenix, the Kings would like to thank Kyle for his contribution to the Club. Photo - Finn is donning his FMP Belgrade jersey for the first time tonight - good luck Finn! Finn is donning his FMP Belgrade jersey for the first time tonight - good luck Finn! Video - The 2018/19 Perth Wildcats Season Story. What a ride! The 2018/19 Perth Wildcats Season Story. What a ride! Greg Hire dropped 20 points and 14 rebounds over the weekend! See who else hit the court with our off-season wrap. Speaking to the Telegraph this week Andrew has re-affirmed his commitment to the Kings, making it clear he would turn down another NBA offer to return to Sydney. Cap off your long weekend with every made three pointer from Clint Steindl over the past season. Photo - Another win for the Golden State Warriors as they hold the series lead 3-1. Another win for the Golden State Warriors as they hold the series lead 3-1. He's right there with us throughout the entire NBL season and today, we're all with Eddie. Congrats on 300 of the best. Happy Easter from the entire Perth Wildcats organisation! How many Gregs can you find in our Easter Greg Hunt? Photo - Happy Easter, Kings fans! Representing NZ on the world stage, the Rosmini College Basketball - Road to World High School Championships boys just placed 6th and the St Peter’s girls placed 5th in the ISF World Secondary School Championships in Greece. Photo - #HappyEaster from your Illawarra Hawks! #HappyEaster from your Illawarra Hawks! Hope you are enjoying some delicious chocolate treats, like Jarrad with this Meadow Fresh Calci Strong! A dominant show of 8 points, 14 rebounds and 5 assists from King Bogut in the Golden State Warriors Game 3 win over the L.A. Clippers today. Our incredible Dunk Team put on a stunning show at our home games through the season, check out some of our favourites! Join us in thanking the three-time champ for all his efforts on and off the court! The final Out of the Box Top 5 for the season thanks to National Storage Locker Room! Which play is your number one? Thanks to everyone who joined us today! As the Denver Nuggets tie their playoff series, we revisit the time the Wildcats went at them for 48 minutes in Denver. Video - Junior Breakers Holiday Camps are on. The future of NZ basketball is looking bright! Junior Breakers Holiday Camps are on. The future of NZ basketball is looking bright! Photo - Is it too soon to start counting down the days until #NBL20? Is it too soon to start counting down the days until #NBL20?